ACC Northridge borders the beautiful Walnut Creek Greenbelt. This 35-acre campus attracts thousands of students each year. Choose from a broad range of courses intended for university transfer or enroll in a career-technical class. ACC Northridge is also home to several creative, high-tech programs. You can study creative design technologies, radio-television-film, technical communications, and more. Students at this campus have access to a variety of support services including academic advising, career counseling, and free tutoring. Computer centers, library facilities, and media services are also available. At ACC Northridge, you’ll be well-equipped to pursue your dreams. Find out what classes are offered on this campus. 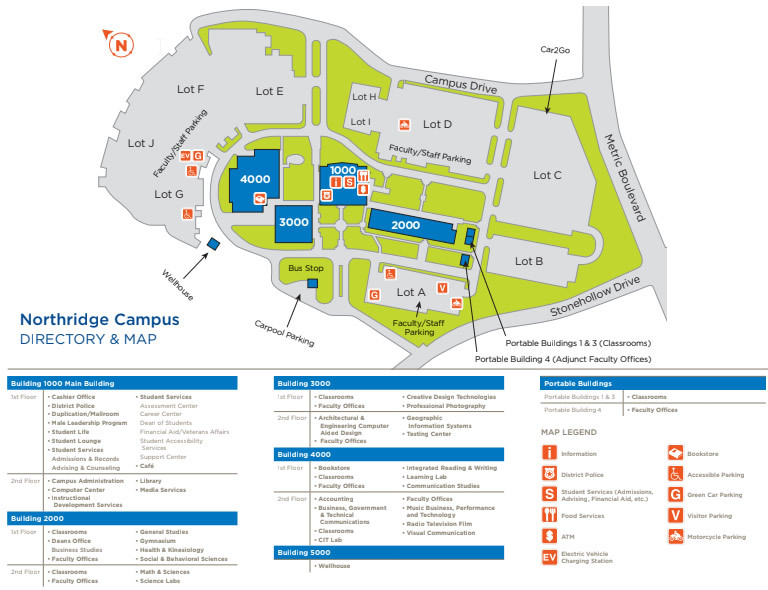 View Course Schedule (Select this campus in the Locations dropdown menu). M-Th: 7 a.m. – 11:00 p.m.
F: 7 a.m. - 10:00 p.m.
M-: 7:30 a.m. - 9 p.m. Sat: 8 a.m - 5 p.m. 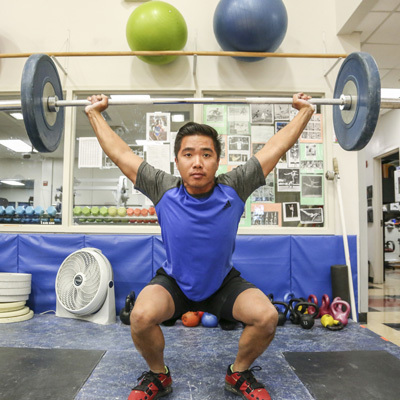 Fitness center Health and Kinesiology holds classes in fencing, weight-training, martial arts and more in the campus fitness center. Music A fully equipped studio gives Music Business, Performance and Technology students a hands-on education in every phase of the music industry. Digital creative Dark rooms, sound stages, and state-of-the-art editing bays bring RTF, photography, and digital art education into focus. Take Exit 245 to Parmer Lane/Yager Lane. Continue on I-35 frontage road for 0.7 miles. Bear right and head toward West Parmer Lane, go 1.0 miles. Turn left at Metric Boulevard, go 1.2 miles. Turn right at Stonehollow Drive to the Northridge Campus. Merge onto U.S. 183 North, go 1.4 miles. take the FM 1325 Exit to Burnet Road, go 0.1 miles. Turn right on Metric Boulevard, go 2.4 miles. Turn left to Stonehollow Drive to the Northridge Campus.